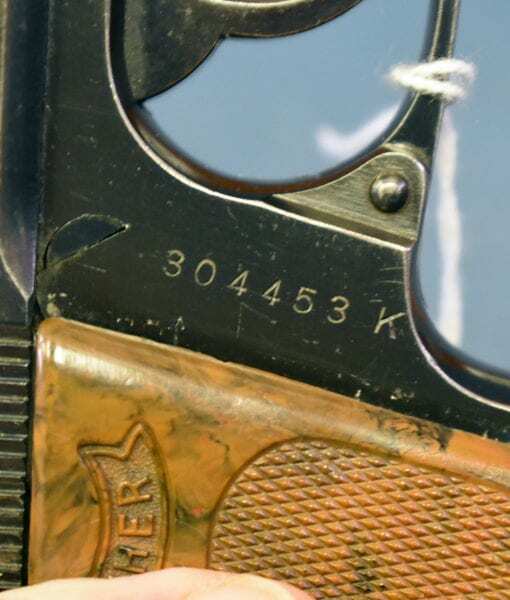 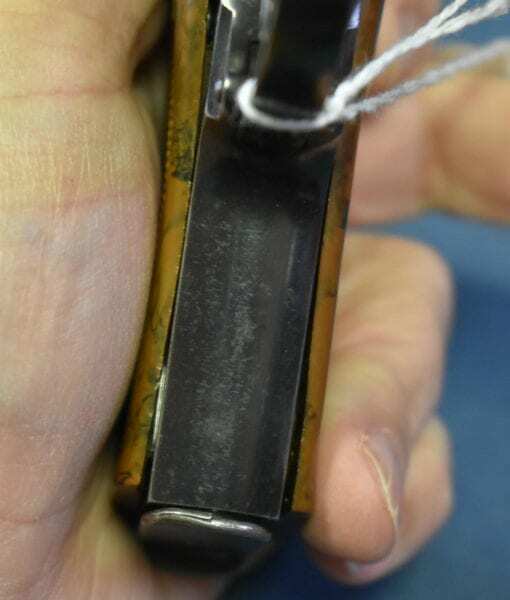 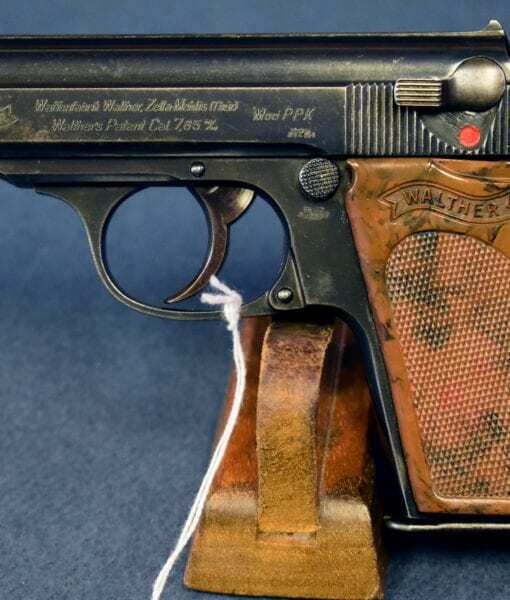 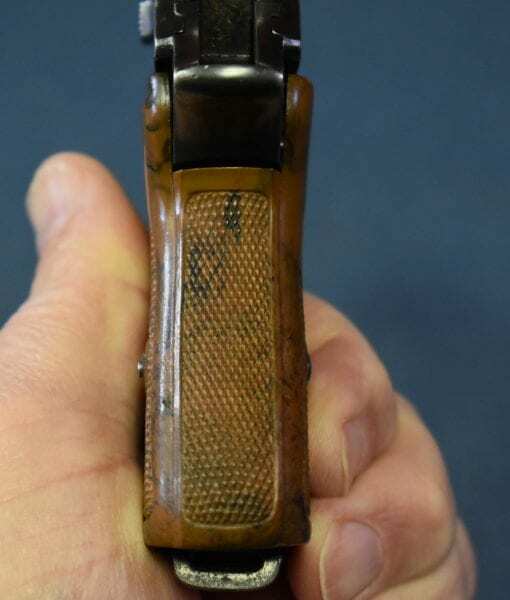 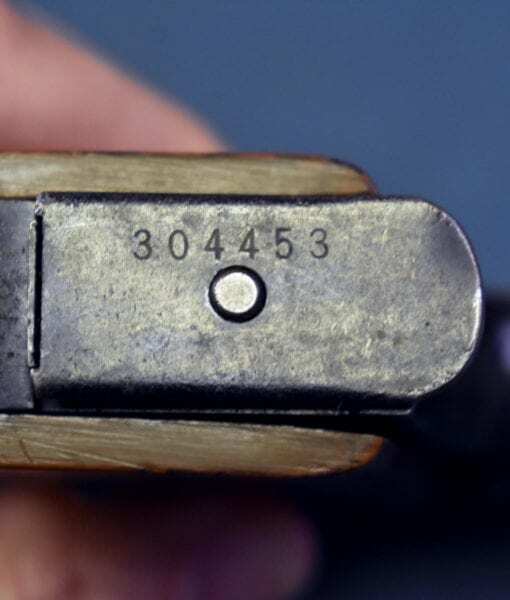 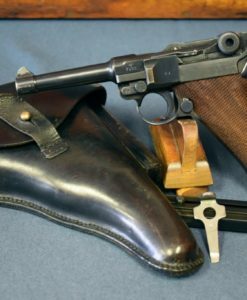 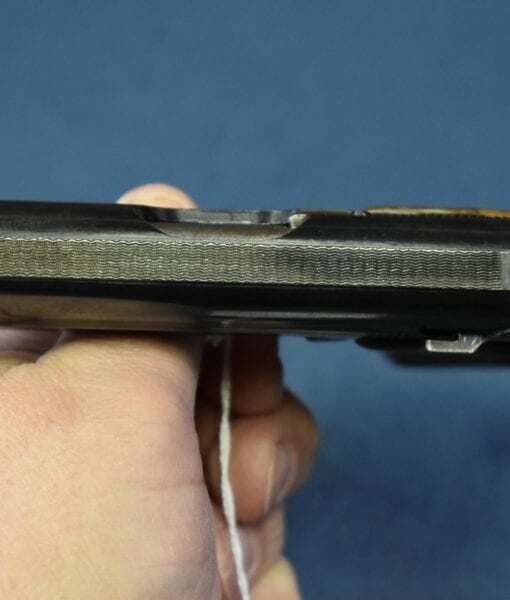 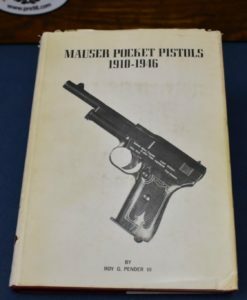 LUFTWAFFE ISSUED WALTHER PPK PISTOL…….WaA359 WAFFENAMTED… EARLY WAR HIGH POLISH FINISH….1 MATCHING MAG! 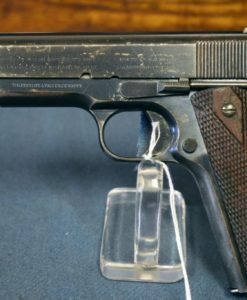 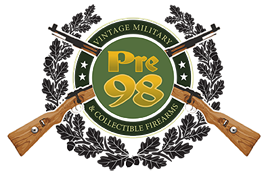 IN 95% VERY SHARP CONDITION,WE HAVE AN ALL MATCHING WaA359 WAFFENAMTED WALTHER PPK PISTOL WITH ONE MATCHING MAGAZINE. 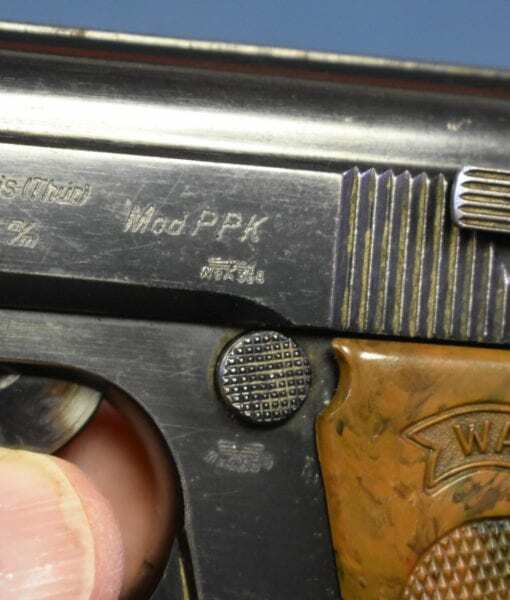 THIS IS AN EARLY WAR HIGH POLISH COMMERCIAL GRADE PISTOL STILL IN TOP CONDITION. 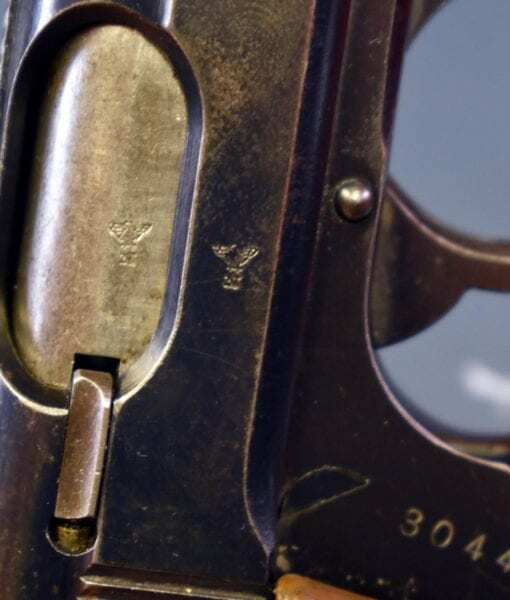 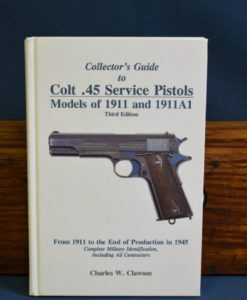 THESE PISTOLS ARE THOUGHT TO BE PART OF A LUFTWAFFE 1941 CONTRACT. 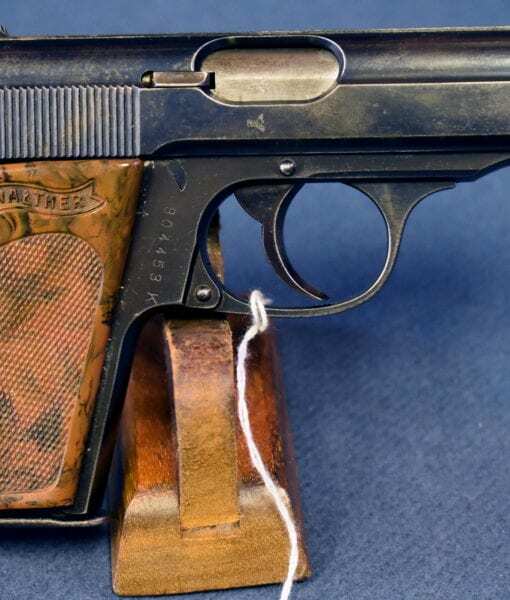 THE PISTOL IS ALL MATCHING AND THE BORE IS MINT AND THE GRIPS ARE VERY SHARP. 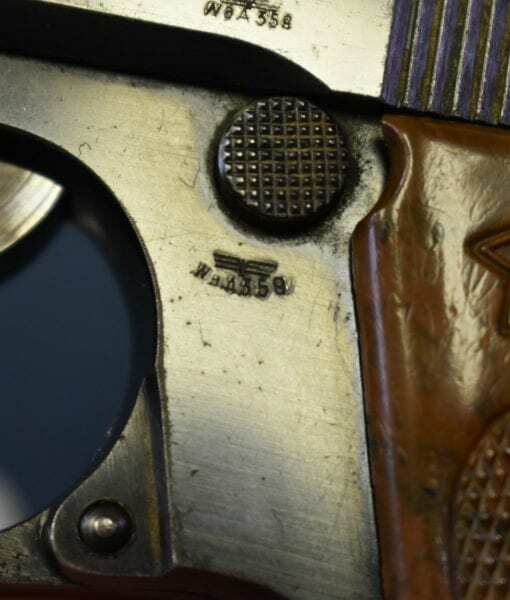 THESE ARE EXTREMELY SCARCE AND SELDOM OFFERED FOR SALE AND NEVER IN THIS TOP CONDITION. 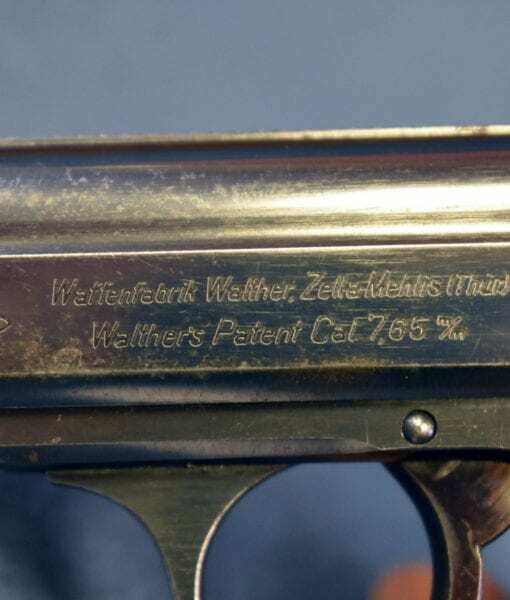 MOST OF THESE GUNS WENT DOWN IN FLAMES WITH THE LUFTWAFFE AND NOT MANY ARE LEFT. 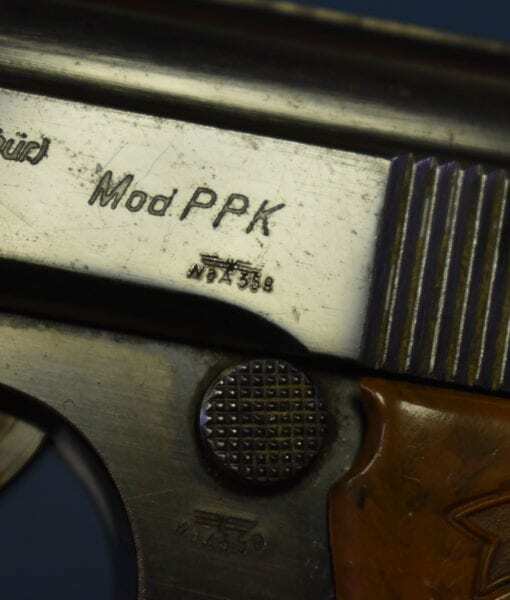 THE GERMAN MILITARY PURCHASED NEARLY 4 TIMES AS MANY PP’S AS THEY DID PPK’S SO THEY ARE MUCH HARDER TO LOCATE.